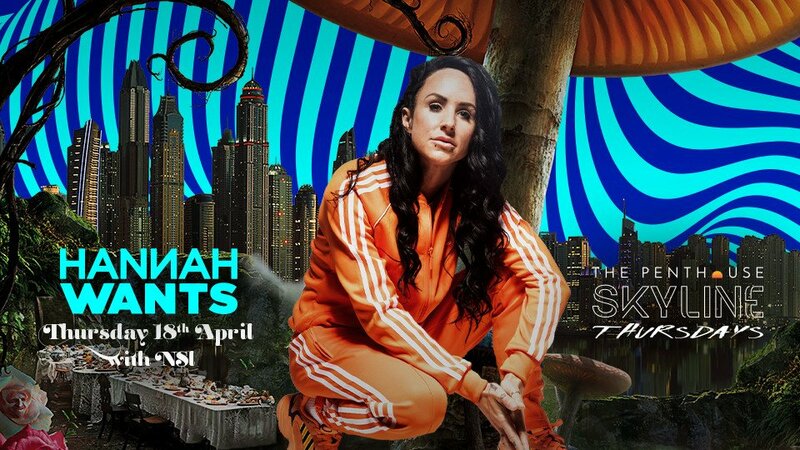 Get ‘Close to You’ with the queen of hard-hitting house music and 2017 winner of Best DJ awards, Hannah Wants at this Skyline Thursdays, The Penthouse, for a night of deep house extravaganza. Kick start the party with our evening brunch from 9pm with resident house sensation NSI. Table bookings available with minimum spend of AED300 per person from Saturday - Wednesday after 4 PM and AED500 on Fridays and Thursdays after 4 PM. A cover charge for gents of AED200, inclusive of 3 beverages, will be applied on Thursdays and Fridays from 11.30 PM - 4 AM. The dress code for the City View Lounge Terrace is casual. Beachwear is accepted but this may change during events and parties. The dress code for the Marina View Bar Terrace is club chic, no beachwear permitted. Requests for terrace and window tables will be noted but cannot be guaranteed and are subject to availability upon arrival. The minimum age is 21 years old. Party table decorations are welcome with minimum quantity and subject to approval.